BOYCE KENDALL JOHNSON passed away on August 18, 2017 in Calgary, AB, at the age of 57. Boyce was born on March 31, 1960 in Lethbridge, AB , where he lived until moving to Calgary in 2009. He is survived by his father, Grant; his brother, Arlan; his sisters Ramona (Bruce) Easthope, Jeanelle (Jim) Livingston, and Melanie (Rod) Hillam. He is missed and loved by all who knew him. Many thanks to the caregivers at Clifton Manor (Unit 600) and Seton Senior Community for all that they did for Boyce and his family over the past several years. Instead of flowers the family is asking that donations be made to “The Brenda Strafford Foundation” so that others, with the same needs as Boyce, can enjoy the respect and care that is available. 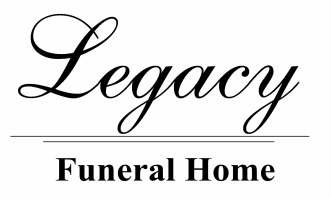 ​Funeral Services will be held at The Church of Jesus Christ of Latter-day Saints, LETHBRIDGE STAKE CENTER, 2410 - 28 Street South, Lethbridge, Alberta, on Friday, September 1st, 2017 at 11:00 a.m.
Interment at 4:00 p.m. Cardston Cemetery, Cardston, Alberta.